What is La Calle bringing to the table? Deep rooted Mexican traditions smacked with modern culinary fundamentals! 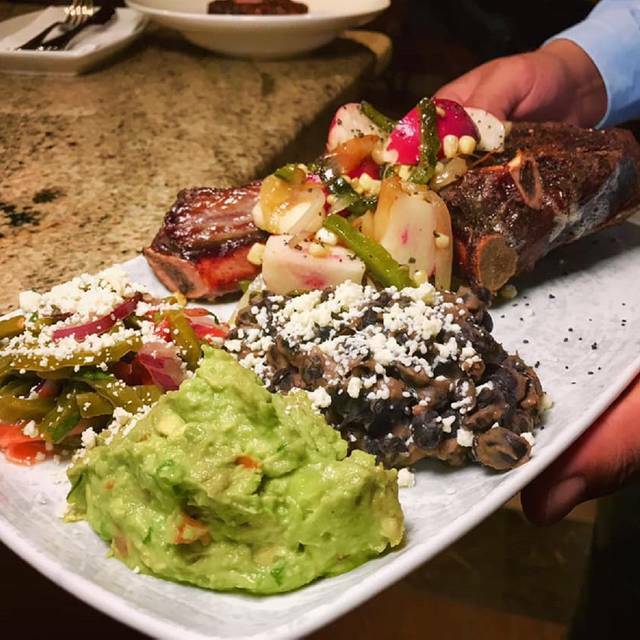 This means everything from the masa to the sauces will have special attention to detail, using the freshest local Maryland and indigenous Mexican ingredients. 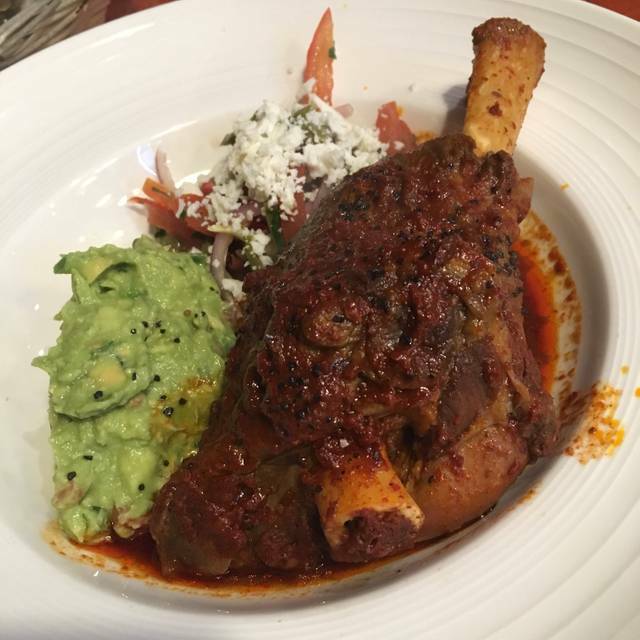 Ancient chocolate mole, crossed with exotic chiles, slow cooked ​barbacoa stuffed into fresh tortilla, savory sauces such as truffle cuitlacoche aioli and poblano peppers ala crema, all made with love in an open style Baltimore kitchen. Traditional Mexican Drinks with a twist will be coupled with an exciting seasonal menu. The food was delicious, we had sea bass, lamb shank, no runny refried beans here! The flan was out of this world, there is a large variety of tequilas to choose from and the wait staff was wonderful! It was a relaxed atmosphere. The kind of place where you can walk in dressed for a nice date or in jeans and sneakers to have drinks with friends. The food is amazing. You can tell the chef holds himself to a high standard and cares about the quality of each plate. I tried a variety of the House cocktails and was impressed with each one. They were all well balanced and flavorful. I’m still thinking about the food and planning my next visit. Well done! Went here Saturday evening for date night and decided it was at best ok, but that we wouldn't bother to go again. I was surprised because the other reviews were so positive - so perhaps our experience was unique. - Our server seemed either new on the job or confused... he did not check-in often and we had to proactively ask him if we could order apps and to get a second round of drinks (he did not come to ask us). He was good on the water refills though, which I appreciate - esp. with salty and spicy foods! Our bill for two rounds of drinks, shared app, and two entrees was over $100 (not including tip/tax) - which would be perfectly reasonable for good food and service, but was a little much for mediocre. We agreed it just wasn't aligned - it was like the food quality and experience of eating at a chain Mexican restaurant but with a 20+% up-charge. The food, drinks, and service were outstanding, but the ambiance is lacking. The restaurant is housed in the ground floor of an office building. While the restaurant is enclosed, it felt like we were dining in a hotel lobby. It didn't feel like a special night out. Octopus cevice was top notch. The bartender was awesome and could recommend a great tequila as well as make a mean Old Fashioned. The lamb was moist and flavorful. The only critical comment would be the tables near the front windows have excruciatingly bright lighting and there was an awkward coat rack and single table in a wide open space while the rest of the tables were full. Overall great food, drink and service with compromised seating. My wife and I went on a Saturday evening. Excellent food and service for dinner- salsa lessons and dancing afterward! We will be back! Very disappointing. Hostess and waiters were fine, but the food was mediocre and pricey for its quality. Braised lamb shank should have been flavorful, but everything tasted as though it had been cooked separately and then put together in the microwave. No vegetarian options and the entrees were very skimpy in the vegetables offered--nopales salad meant a few sprinkled on top of the meat. Mole enchiladas meant empty tortillas with mole sauce. La Calle is a much welcome addition to Baltimore, serving thoughtful, fresh and creative cuisine complemented by exceptional beverage service. This is not a Taqueria and, as far as I know, really has no peer locally since La Calle serves gourmet Mexican food, specializing on Pueblo. On a recent visit, I enjoyed talking to the friendly staff about how the food is sourced and how the menu was developed. The salmon was exceptional, the mole sauce was rich and complex and the margaritas made with fresh lime juice. The various sauces alone are worth the trip for their nuance; the tomatillo sauce for the crab empanada is more than a garnish. I look forward to working my way through the menu on return visits. A word to the wise: it can get crowded around 7pm, so it might be a good idea to consider going a bit earlier/later. Excellent overall. Superb, fresh and different food - authentic Mexican -- loved it. Best salsa we've had; entrees great, flan and churros outstanding. Will definitely go back when in Baltimore again. Service terrific and friendly -- would recommend to any and all. Our party of 6 went for an early dinner to celebrate a birthday. The owner/host was gracious and took the time to go into detail about how entrees were prepared using his mom's recipes from Mexico. So this is not a place to go for a casual meal of tacos (although they do have that for lunch!) This is the place to go for excellent Mexican cuisine. We tried 5 different dishes and they were all incredibly delicious! The chicken mole was superb as was the Carne a la Tampiquena, striped bass, Camarones al Ajillo and braised lamb. Guac & Margaritas were good (try El Diablo), salads were fresh and nicely dressed. Somehow we had room for dessert and tried the flan, chocolate mousse with chile and churro. All were delicious, but the churro with ice cream was the favorite. Will be back next time we visit our daughter in college. It really was exceptional! My fiance' and I absolutely loved our dinner! We went for our Valentine's Day celebration on the 16th and had the best food and great service! We will be back! Great family restaurant. The owners are passionate and very friendly. The food was really good. Especially the flan! Our group had a great meal. Tried the Ceviche, crab empanada and chorizo Queso - all great. The cocktails were delicious (El Diablo). I had the salmon and it was one of the best salmon dishes I've tasted. I would go back. Close to Rams Head Live (we walked) - we did not want to eat bar food over at Power Plant so this is a great pre-show destination. Call for a reservation and find out where to park in advance. There is supposedly a relatively inexpensive garage across the street. La Calle was an unexpected surprise. It is a vibrant small restaurant. The service was excellent, the food was good, the drinks did not disappoint. What was especially noticeable was the care of the family in running the place, and ensuring the customers had all they needed. It made for a very pleasant evening, and we will definitely go back. La Calle is a wonderful restaurant. We were taken there by friends a couple weeks ago, and on Saturday, we took another friend there. We all really enjoyed the food and the service. This was a wonderful experience! The food was fabulous. The brothers who run the restaurant are friendly and share their knowledge of the food. Many of the recipes come from their mother. The flan was the best I've ever had! Food was excellent! Wonderful new downtown restaurant. Authentic mexican food. Pork loin and salmon were outstanding. Very friendly staff; they make one feel at home. The food is fresh and tastes very clean. I probably go there at east every other week for lunch and everyone that comes with me agrees with the quality of their food. Superb, freshly made Octopus Salad and definitely order one of their, also freshly made, lemonades. All of their Tacos are really beautifully presented and taste just as good. To enjoy a three course meal. The dishes were well thought out and the chef was very well trained. The bar tender was amazing. The whole experience was perfect. Please support this new restaurant! Amazing cocktails and meal! The ribeye was outstanding, as was the margarita and the El Diablo cocktail. Will definitely be going back! Outrageous margaritas & excellent all around!! Dinner was great! My only complaint was that the portions were a bit small, but the food was excellent! Went there with my gf. The food was ok but nothing extraordinary. The servers were friendly.